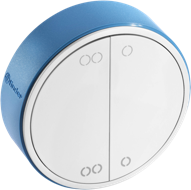 Beyon is a wireless pushbutton that you can use to control your home lights and to create SCENARIOs. Thanks to the innovative energy harvesting system of using kinetic energy that is generated by pressing the pushbutton, you don’t need to batteries for BEYON to work. BEYON is available with one or two channels. Its minimal, stylish design suits every type of home. The Type 013B9 standard wireless pushbutton has a stylish and minimalist look, and is specifically for wall mounting. The Type 13.72 actuator is the heart of the YESLY system. 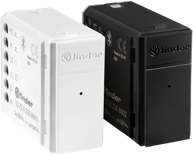 It represents the evolution of the traditional step relay; and thanks to its unparalleled flexibility can perform up to 21 functions. You can program it via the YESLY app or using the BEYON wireless pushbutton. 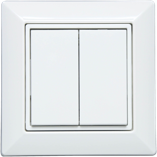 The Type 15.71 Bluetooth dimmer lets you control several lights and electronic or electromagnetic transformers. This product is the best option for increasing your comfort living and keeping your energy consumption under control. You can program the Type 13.71 actuator via your smartphone app or with the BEYON wireless pushbutton. 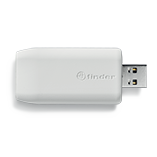 The Type 1YEU005 Range Extender extends YESLY’s field of operation by around 10 metres (line of sight). It is is extremely easy to set up and it repeats only when it receives a signal.